The world of travel can often be bizarre, but that’s what keeps it fun and interesting. This time the bizarre comes in the form of the Icehotel, Sweden. Anyone who’s been around even a little bit can vouch for the fact that hotels either make or break your vacation. The hotel industry knows this and hence offers you the best type of comforts along with a unique experience. But the Icehotel in Sweden goes one step beyond this. If you haven’t guessed it by now, let me make things a bit more obvious, the Icehotel, is in fact made of ice. And here’s where things get even more interesting. Since the hotel is made of ice, every summer it melts and has to be rebuilt again. Located in a small Swedish village called Jukkasjärvi, is the beautiful monstrosity called the Ice hotel. Founded in 1989, it is reborn every winter, like a phoenix rising from its ashes. The world’s first every hotel to be made full of ice and snow, the temperature here is always below freezing, at a chilling -5C. You’ll find all the features of a regular hotel here as well, with the only difference being that they’re made of ice. The hotel has a bar, a church a main hall and a reception area. 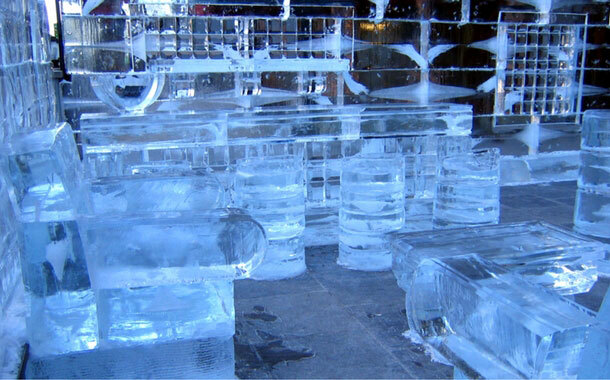 The furniture is sculpted from ice and looks beautiful. 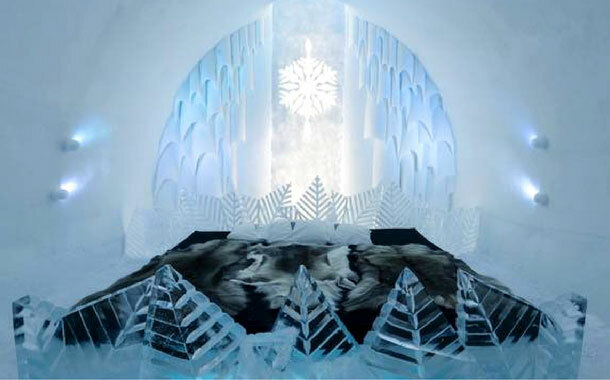 The rooms feature their own unique works of ice art, including ice chandeliers. The temperatures are always freezing here. If you can bear the cold, this hotel is pure piece of architectural art. It goes without saying that packing warm clothes is a must. The experience of sleeping in an ice bed is unique and one of a kind. 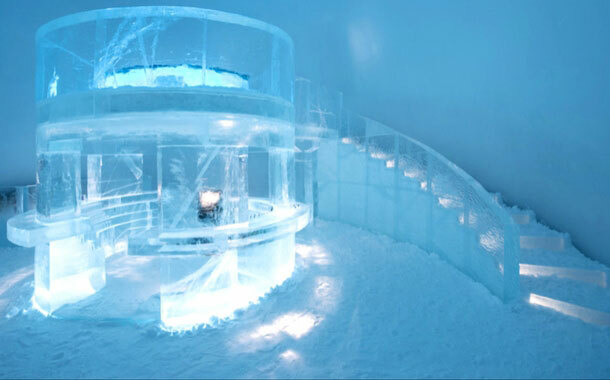 There’s a warm building close to the Icehotel with warm rooms for when the chill gets too much to bear. You can pick your stay in such a way that you alternate between the two hotels. 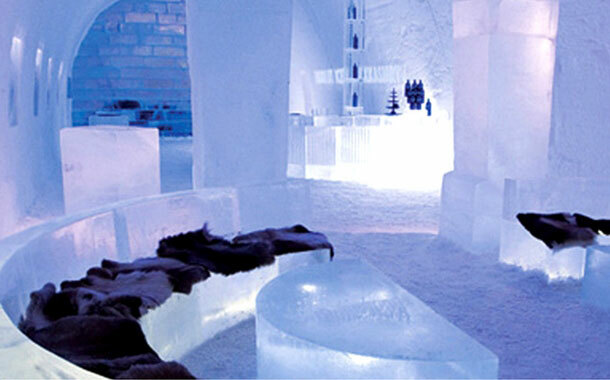 Generally it is recommended that you pick the first and the last day of your stay at the Icehotel. These warm rooms are where you store your belongings and are the ones that have bathroom facilities. The ice bedrooms are only for sleeping. There are no sockets so make sure all your gadgets are charged, or just leave them behind in the warm rooms. The Torne river that flows by is the one that provides all the ice and snow for the ice hotel during winter. In summer as the ice starts melting, the water rejoins the river once again. Leaving the hotel to be rebuilt once again when winter comes.